The durability and lightweight design of the SPLASHCAM line allows a single operator to deploy the camera hundreds of feet above a site (either above or below water), which makes it a perfect tool to use for hydro-electric check-ups. Getting into small entry ways and inlets is one of the many things SPLASH CAM is specifically designed to do. 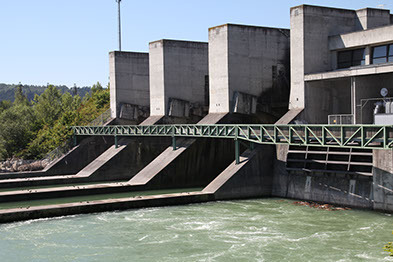 Whether documenting structural integrity or any potential weak spots along a dam’s surface, or monitoring the behaviors of the Salmon making their way up a fish ladder, the SPLASHCAM line will go a long way to making the job safer and quicker.